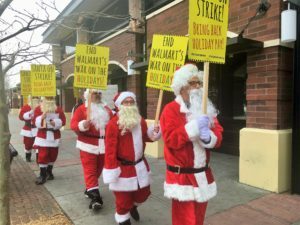 With Santa’s help, Making Change at Walmart (MCAW) launched a series of strike actions at Walmart stores across the country in December to protest the retail giant’s refusal to provide its 1.5 million workers with holiday pay. The “Santa Claus on Strike” actions were held in 13 cities, including Phoenix, Las Vegas, Seattle, Portland, Cincinnati and Memphis. 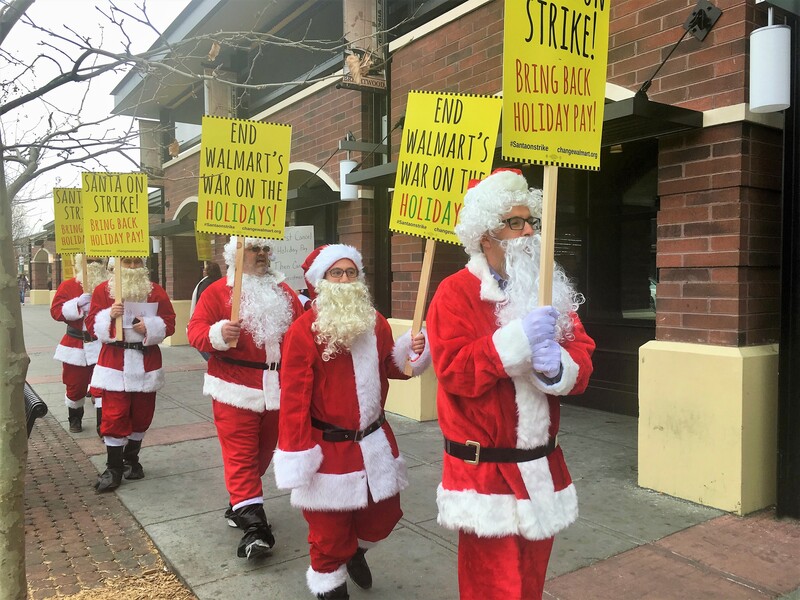 At each action, Santa and his holiday helpers made all those who love Christmas aware of Walmart’s “no holiday pay” policy. Walmart eliminated holiday pay in 2016, replacing it with a policy where workers accrue paid time off based on hours worked. 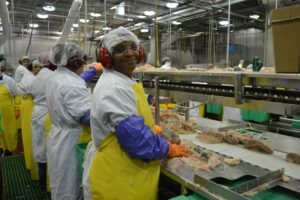 Under this policy, a new part-time Walmart worker has to work 33 hours to get just one paid hour off, which could take weeks to accrue given Walmart’s inconsistent scheduling. Holiday pay, for those who work on the holiday, typically includes a premium above and beyond what they are paid hourly. And, in the case of many union retail workers, they are given holiday pay even if they don’t work that day. 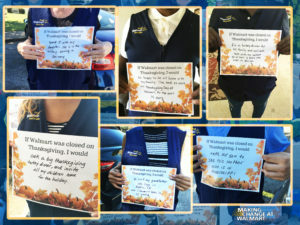 The “Santa Claus on Strike” actions were the second phase of MCAW’s six-week holiday initiative to highlight Walmart’s “war on the holidays.” MCAW’s holiday campaign has included grassroots events at Walmart stores, targeted paid media, including two national TV ads, aggressive social media, and outreach to civic and community leaders, all with the important goal of having Walmart end its policy of refusing to provide holiday pay to its workers. 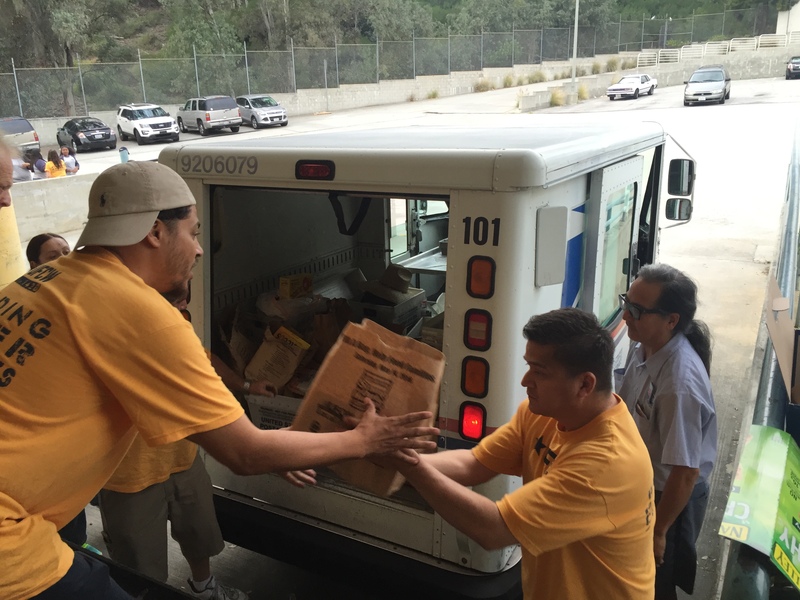 “Walmart earns millions of dollars from not paying its workers holiday pay – this is wrong and it must stop. The extra pay millions of other American workers earn during the holidays make a difference, and Walmart workers deserve no less,” said Parraz. Making Change at Walmart (MCAW) released a 30-second TV commercial on Nov. 22 as part of its multi-pronged holiday campaign denouncing Walmart’s “war on the holidays.” The ad ran during the Macy’s Thanksgiving Day Parade on local NBC affiliate markets in Sacramento, Phoenix, Madison, and Cincinnati. The ad is part of MCAW’s six-week holiday initiative to highlight the retail giant’s “war on the holidays,” which included grassroots actions and social media efforts in Indianapolis, California, Arizona, Texas, Illinois, Delaware, and New York during the week leading up to Thanksgiving. Coordinated actions will continue this week at Walmart locations in at least 10 cities across the U.S. to highlight Walmart’s failure to do what every responsible employer does – pay its workers holiday pay. 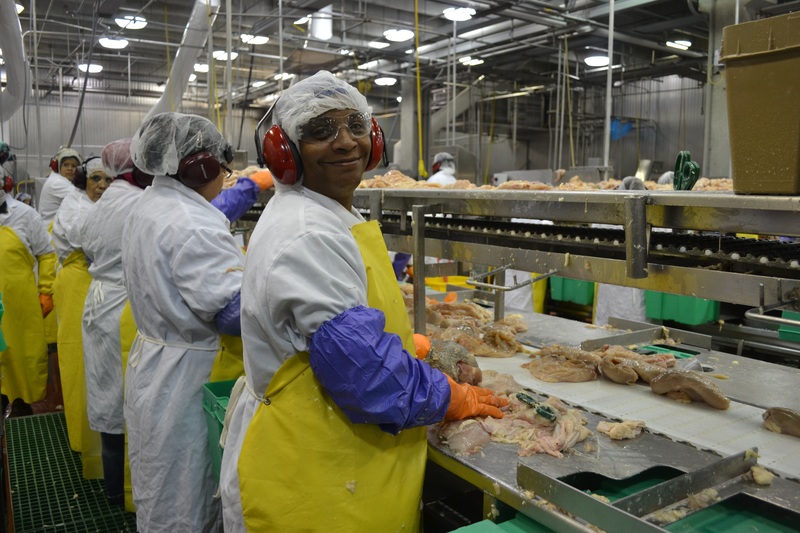 Up until last year, Walmart workers who worked on a holiday received their regular hourly wage plus additional pay, equal to the average daily wage in the 12 weeks leading up to the holiday. In 2016, Walmart changed its policy and eliminated holiday pay for all workers. Afraid to speak out publicly or show their faces. Or to be with her four-year-old. And no chance for a better life. That you don’t work at Walmart. Bob’s Discount Furniture workers in Brooklyn joined UFCW Local 888 for a voice in the workplace. 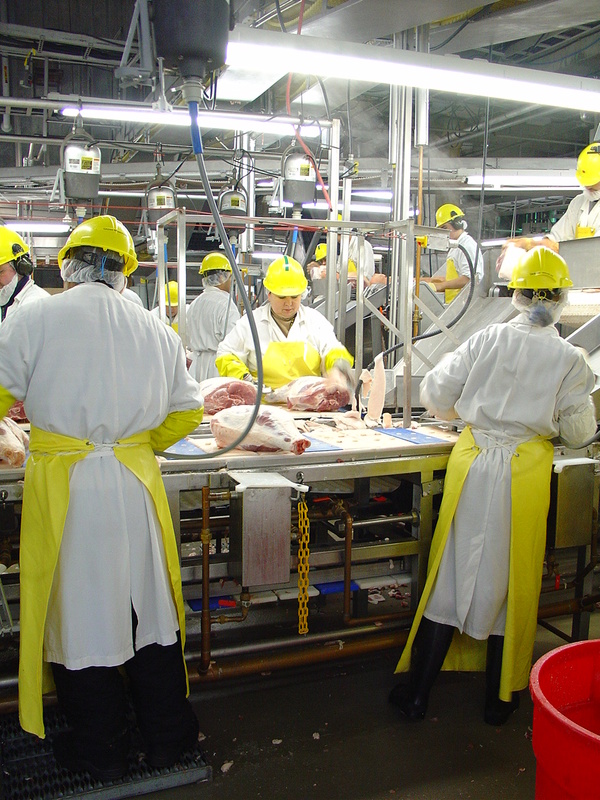 Workers at Bob’s Discount Furniture and Century 21 in New York joined UFCW Local 888 on Oct. 17. 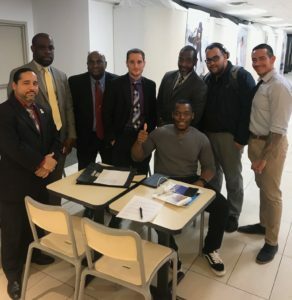 The 33 workers at Bob’s Discount Furniture store in Brooklyn wanted to be part of UFCW Local 888 for a voice in the workplace. 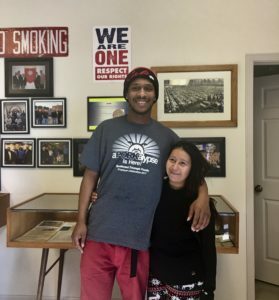 The workers, who sell furniture, join their over 200 brothers and sisters at six other Bob’s Discount Furniture stores in New York and New Jersey who are also members of UFCW Local 888. The 148 workers at the Century 21 store in Yonkers were also concerned about having a voice in the workplace, and wanted the same security and benefits as their over 2,000 organized brothers and sisters in New York City and New Jersey.